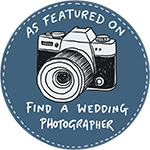 As Sheffield wedding photographers we love to photograph pre-wedding photo sessions in the Peak District surrounding Sheffield. Surprise View is one of our favourite places to go, it has stunning views over the valleys, beautiful heather and silver birch trees and pretty much always an ice cream van in the car park! Louisa and Max’s portrait session took place in springtime and we took them for a little walk around Surprise View. Max wasn’t a fan of having his photo taken (who is?!) We managed to make them both feel more comfortable by having fun and joking around. Our style of photography is relaxed and informal -we know noone likes posing and the best photos are always the ones where you are looking at each other and laughing – the natural smiles are the best! If you want to head out into the Peaks or the Lakes for your pre-wedding photo shoot just give us a shout!